March 22, 2019, 4-7 pm, Fourth Friday Sisters Arts Stroll at Hood Avenue Art features the large format landscape photography of Scott Cordner and the alternatively glazed ceramic work of Peter Roussel. 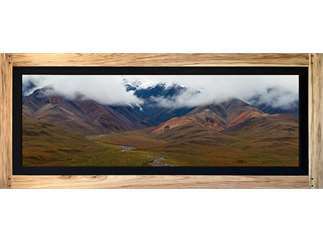 Cordner takes his photographs to a new level of craftmanship by printing his own images and hand crafting his own creative, furniture quality wood frames. Roussel’s glowing and highly textured ceramics share impressions and images directly from nature and have a tactile quality rarely seen.